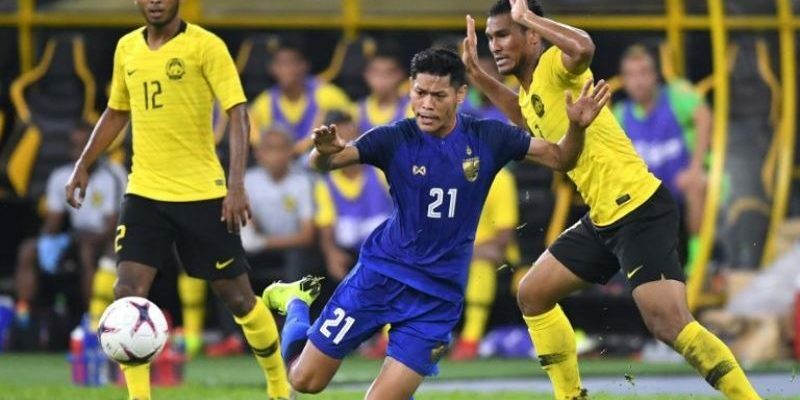 KUALA LUMPUR (2 Dec 2018) – Many may have given up hope of Malaysia getting a positive result against defending champions Thailand in the return-leg semi-final in the AFF Suzuki Cup at the Rajamangala Stadium in Bangkok this Wednesday – but not Tan Cheng Hoe. The national football coach saw “many positives” in the scoreless draw in the first leg at the National Stadium in Bukit Jalil on Saturday. It was a match dominated by Harimau Malaya but the local heroes simply could not get the ball into the back of the Thailand net – missing no less than two dozen chances that they either created or chances that came their way. Cheng Hoe, a former international, reminded that such situations do happen in football and even to the top clubs or football nations in the world. “It is unfair to nail my players for the misses. I do know how the 80,000 fans felt at the stadium and millions who watched the live telecast. I am one of those who was left frustrated…but this is football,” said Cheng Hoe on Sunday. “I have to give confidence to the team. There is another half of the battle to played in Bangkok. The way we played in the first-leg was one of confidence, commitment, and dedication. “There is one golden word in my dictionary…HOPE. There is still hope and we will not abandon that in Bangkok. We can turn the tables on Thailand in the return leg and make up for the misses in Bukit Jalil. Meanwhile, Cheng Hoe is keeping his fingers crossed that Mohamadou Sumareh and Syazwan Andik Ishak will recover from their hamstring pulls which the duo sustained midway in the second half.